What Happens If I Do Not Pay My Unsecured Debt? Leaving unsecured debt unpaid can have significant negative impacts. 1. Can a Person Pay the Debt Owed on a House & Assume Ownership? 2. Should Mutual Funds Be Used to Pay Debt? Many borrowers feel overwhelmed by their debt, and the idea of simply not paying unsecured debts can become quite tempting. Although not paying these loans may not result in immediate forfeiture of collateral, as it would with a secured arrangement, leaving an unsecured debt unpaid can lead to collection attempts, damaged credit ratings and, in extreme cases, lawsuits. If you do not pay your unsecured debt, the lender has the right to report the debt to the major credit reporting agencies, as well as send your account to collections or file a lawsuit to collect the money owed. Shortly after a borrower stops paying on unsecured debt, lenders begin some form of collection activity. Depending on the borrower’s credit rating and past history, and on the lender’s practices, these activities may start as friendly reminders and come in the form of emails or letters. These reminders tend to quickly escalate into increasingly frequent and demanding phone calls, and borrowers with more than one unsecured debt can receive many calls throughout the course of a day. As soon as 30 days after a borrower stops making payments on an unsecured debt, lenders may report the missed payments to major credit reporting bureaus. Each credit bureau has its own method of calculating credit scores — a single late payment can have a significant effect on an otherwise good credit rating. Lenders don’t simply report missed payments, however; lenders typically report the missed payment again when it becomes 60, 90 and 120 days past due. Lenders also report additional credit activity, and more serious activities like charged off debt and legal action can significantly reduce a borrower’s credit rating. As a result, borrowers with missed payments may have considerable difficulty getting credit years after missing payments, and those who do obtain financing may pay markedly higher interest rates. In some cases, lenders may be so eager to recover the outstanding debt that they initiate legal action against the borrower. If a lender sues, debtors who hire attorneys may incur hundreds or thousands of dollars in legal expenses. If the lender wins in court, the borrower may have no choice to pay the legal fees plus the amount of the debt; in some cases, the court may also order that the borrower pay the lender’s legal expenses as well. If the debtor cannot pay, a court may force the borrower into bankruptcy. Although borrowers can feel harassed by seemingly endless debt collection calls, debt collectors must follow certain legal guidelines set forth in the Fair Debt Collection Practices Act. Lenders who call too frequently or who do not obey cease and desist orders, for example, risk having the debt invalidated if harassed borrowers pursue legal action. In addition, lenders typically do not sue borrowers for small debts, as legal fees can easily exceed the amount of the outstanding balance. Credit impact from unpaid loans can burden borrowers for many years and can make future debt prohibitively expensive, so many borrowers make every possible effort to pay unsecured debts. 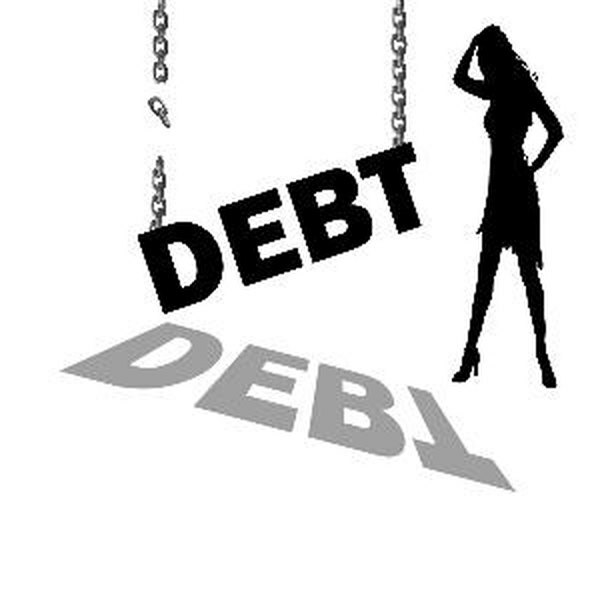 Delray Credit Counseling: Debt Consolidation Explained - What Happens if You Don't Pay? Keith Evans has been writing professionally since 1994 and now works from his office outside of Orlando. He has written for various print and online publications and wrote the book, "Appearances: The Art of Class." Evans holds a Bachelor of Arts in organizational communication from Rollins College and is pursuing a Master of Business Administration in strategic leadership from Andrew Jackson University. Are You Better Off Paying Off Credit Card Debt or Leaving the Money in a Savings Account? How Does Unsecured Debt vs. Secured Debt Affect Credit Ratings? Can a Creditor Freeze My Bank Account for Unsecured Debt? Should I Pay Off My Mortgage Early in Order to Retire Early? Can Back Taxes Be Taken Out of a Refund?